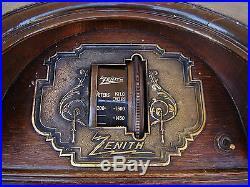 Hard to Find Antique MODEL 31 ZENITH RADIO for RESTORATION or PARTS. CHICAGO, ILLINOIS (AKA: CHICAGO RADIO LAB). 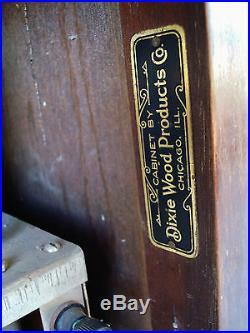 Material: Wooden cabinet case made by DIXIE WOOD PRODUCT CO. CHICAGO, ILLINOIS (See NAME-PLATE in the pictures). Country: UNITED STATES of AMERICA. 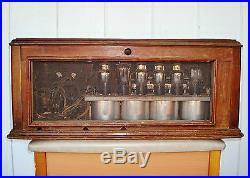 Type: Broadcast Receiver - or past WW2 Tuner. 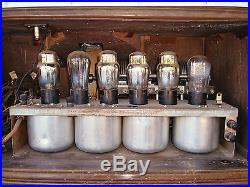 Valves / Tubes: 6 Tubes - UX201A, UX201A, UX201A, UX201A, UX201A, UX171. Principle: TRF without reaction non reg. Wave bands: Broadcast only - MW. 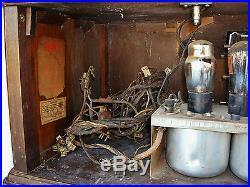 Power type and voltage: Storage and/or dry batteries. Loudspeaker: No built-in Loudspeaker; For headphones or External Speakers. 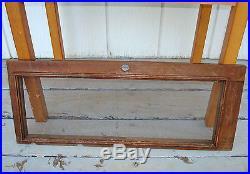 Dimensions: 26" Long x 11" High x 13 Deep. 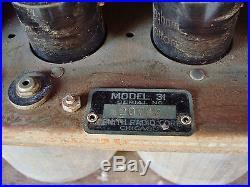 Notes: One dial (primary tuning control knob). 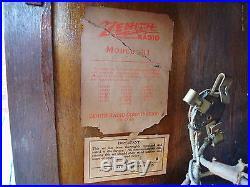 The radio does not work. It needs to be rewired and restored. 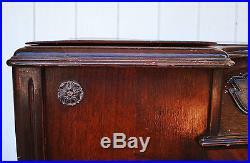 The wood cabinet has scuff marks and is delaminating. 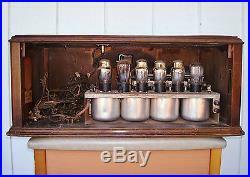 The item "RARE Hard to Find Antique MODEL 31 ZENITH RADIO for RESTORATION or PARTS" is in sale since Saturday, September 03, 2016. 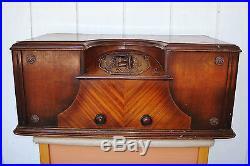 This item is in the category "Collectibles\Radio, Phonograph, TV, Phone\Radios\Tube Radios\Pre-1930". 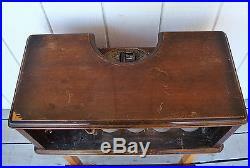 The seller is "amerikay2" and is located in Mid West, America. This item can be shipped worldwide.